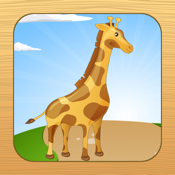 "Easy Animal Puzzles" is a puzzle game created for small kids and toddlers. With this game, they can learn about different animals and have fun with simple puzzles. It has the appropriate level of difficulty to make young children can start having fun while learning! The free version allows you to test the first three puzzles. Try it! If you want to buy the remaining puzzles for your kids, you can unlock the full version easily within the application.